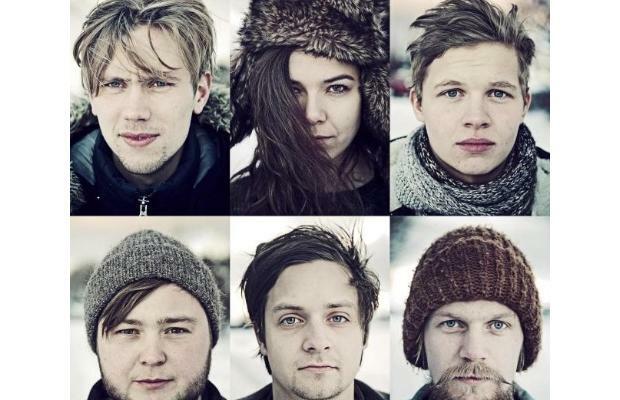 Musiktilraunir may not be a word that signifies musical success in the states, but for Of Monsters and Men, the Icelandic sextet, it signifies the 2010 win of its homeland’s coveted music competition. The folk/rock/pop group is now getting attention around these parts due to its radio friendly new single, Little Talks, which only hints at the boisterous, celebratory sound of My Head is an Animal, Of Monsters and Men’s inspiring debut album. It’s the dual vocals of Nanna Bryndis Hilmarsdottir and Ragnar Porhallsson, the powerful guitars riffs and fist pounding drums that make the hourlong My Head is an Animal such a rousing album. oMaM loves building to an emotional crescendo with personal, honest lyrics and then bursting speakers with band-filled chants and harmonies. Careful not to make every song a colossal anthem of salvation, love and triumph, the band adds gentle touches so your head doesn’t explode halfway through the album. Sloom and Love Love Love are carefully crafted tracks which show that the Icelanders can pull you in with softer melodies and more lyrically focused songs. Dirty Paws, the first track off of My Head is an Animal, starts gently with Nanna and Ragnar singing in unison to a simply strummed guitar. About one minute in, the rest of the band joins, turning this song from a quiet rain into a thunderous storm. While not the most impressive song lyrically, it still is able to lure you in and get you hooked. King and Lionheart is a swelling track with grand pianos and synthesizers, precise drums and Nanna’s powerful vocals. King and Lionheart shows what this band is lyrically capable of and redeems the faults in Dirty Paws. Howling ghosts they reappear, in mountains that are stacked with fear, but you’re a king and I’m a lionheart. And in the sea that’s painted black, creatures lurk below the deck, but you’re a king and I’m a lionheart. Six Weeks has a pulsating beat, giant harmonies and begs to be heard live amidst thousands of clapping hands. Songs like Six Weeks reminds you that this band is not long for the small venue circuit. My Head is an Animal makes me want to climb a mountain and look at the how big the world is from its frost covered summit. I most likely won’t do it, but for me, just thinking about it is a bit of accomplishment. 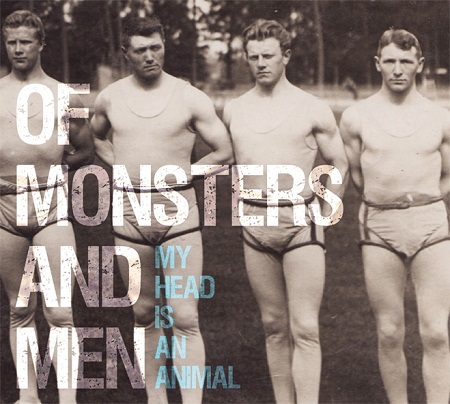 My Head is an Animal will be released in the U.S. on April 3, 2012. Great band. Blog looks great!